When I entered the room of the event of The Finest Brands, I was skeptic. I did not really understood what it was all about... but I tell You, as time went by and the discussion continued I was more and more amused and amazed!!! What a great choice, what a big chance! What a fantastic idea! The Finest Brands is promoting Lifestyle brands and equipment made to better enjoy life and fill up the free time with great activities: Music and Dramaturgy are arts that since the dawn of mankind are supporting the soul of the men. 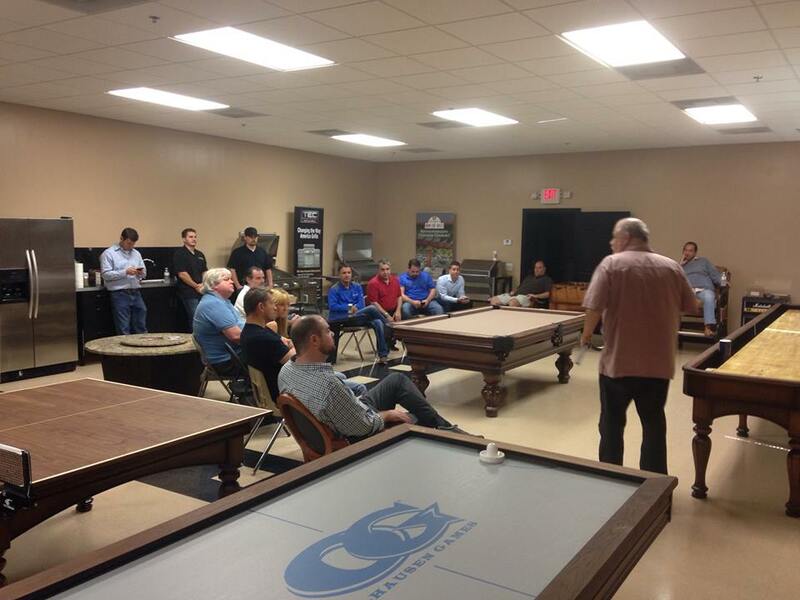 Blumenhofer is not directly in the portfolio of the finest brands, because electronics is not in their portfolio, but... look for the finest brands in Your hometown in USA and You will find our loudspeakers. The most beautiful story regarding music of those days is that for the first time I've had the chance to experiment a true Blumenhofer Genuin FS 2 home cinema set. It included the Genuin CS 2 Twin center and 2 Sub 21". All powered by a spectacular Dataset processor and power amplifier. 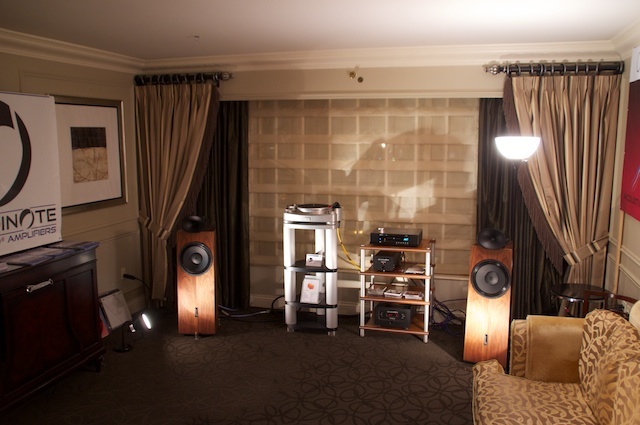 The Subs were alimented by a 10 kW power amplifier: my best cinema experience ever!! Already this was a fantastic experience, and then, in another showroom, I had the chance to enjoy a complete Tempesta 20 home cinema set. In both cases the chosen projector was a Sim2, a small luxury brand, devoted to highest quality. Take Your time to have a look at the pictures here, they are really saying more than words! 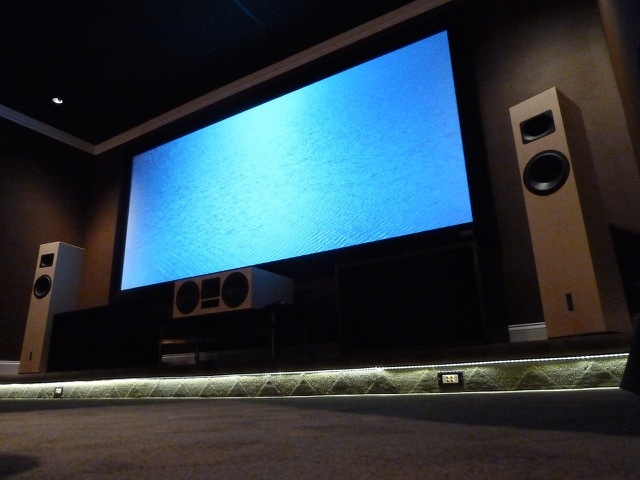 Tempesta 20 home cinema, picture taken at Millennium Systems Design, Inc. It seems like an April's fool. But it is true. Since longer time we started our cooperation based on the development of certain products to comply with the needs of the American market. The result is the Tempesta series, complete with Center, Surround and Subwoofers. Still there is some work to do to complete the range, but the product line has born. The partner of this cooperation was and is Robert Thompson of WSR|Sales. After 36 hours of travel Andrea arrived in Las Vegas. This was only the beginning. 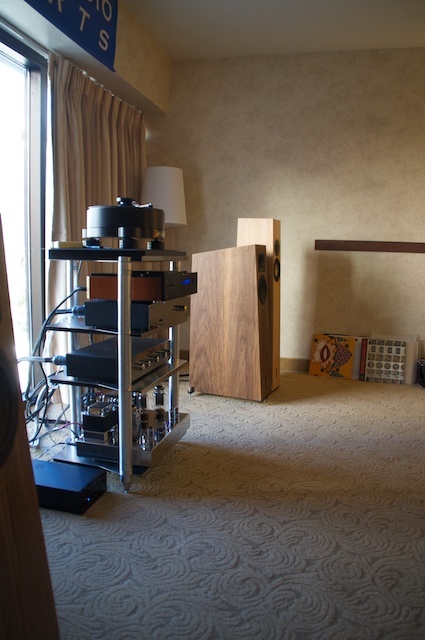 The CES is the most important international HiFi show on the world. But only for professionals. Journalists, Distributors, Dealers, Manufacturer and all the people working in the electronic industry are allowed to participate to this event at the Venetian in Las Vegas. Rarely was our room not full and not visited. The contacts have been several and well promising. The cooperation with Grandinote, Astin Trew, Cammino and Acoustics Signature has been fruitful. The results will be fruitful as well.